The GreenTec FF/FL series is a hydraulic offset flail mower that is mounted at the rear or front 3-point linkage. Very suitable for cutting slopes, ditches and embankments. 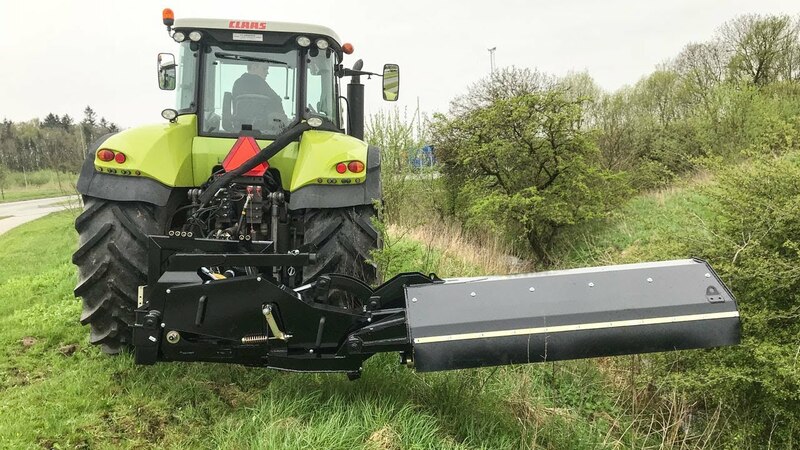 The offset flail mower with hydraulic drive can be used in combination with another front or rear mounted flail mower attached to a reach arm which will acheive a very large capacity.